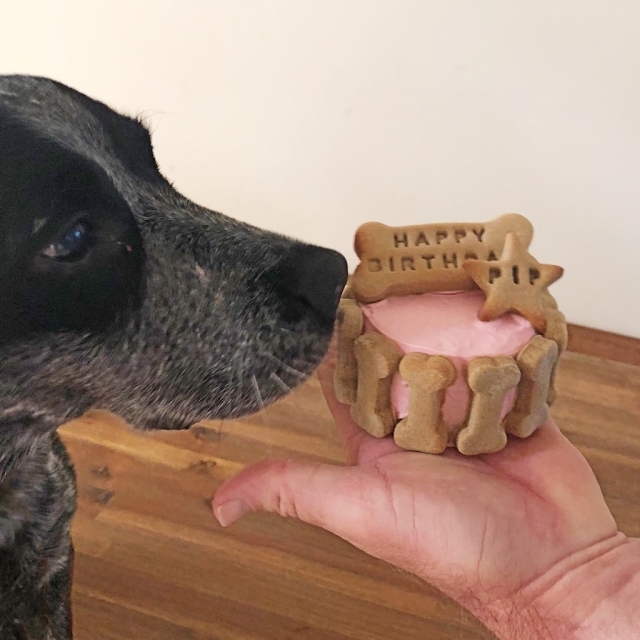 Bigger than a pupcake but smaller than a full size Celebration Cake. Perfect for smaller breeds or not for sharing doggies. Personalise the treat on top for your fury friend.